In our last blog we talked about preparing your business for the growing AR and VR markets whose value is projected to be a massive combined $94 Billion by 2023 . Now we’re going to focus on how AR and VR technology can help to boost your company’s sales. Virtual and augmented reality fit neatly into any sales strategies that your business already has, here are a few examples. The shopping experience has changed. Since the dawn of ecommerce more and more customers have moved online. 2016 saw $1.859 Trillion in global ecommerce sales with a projected growth to $4.479 Trillion in 2021 . AR and VR will allow your firm capitalise on this trend and improve the quality of your online offerings. Augmented reality technology could allow a customer to view and interact with a 3D model of your product, seeing how it looks in their home and increasing confidence in their eventual purchase. It could also be used to let a customer customise their product, if they’re buying a new car they would be able to swap out different customisation options until they have the exact vehicle for them, from the engine all the way down to the wheel trims. Virtual reality has a number of uses in this context as well. Virtual tours of properties could be used to showcase the houses to customers from the comfort of their own homes. This would save the customer both time and money on travel and allow them to fit this sort of activity into a busy schedule with ease. VR also helps smaller business by letting them forgo having a flashy showroom or even having a physical presence at all if they utilise the virtual reality demos properly. 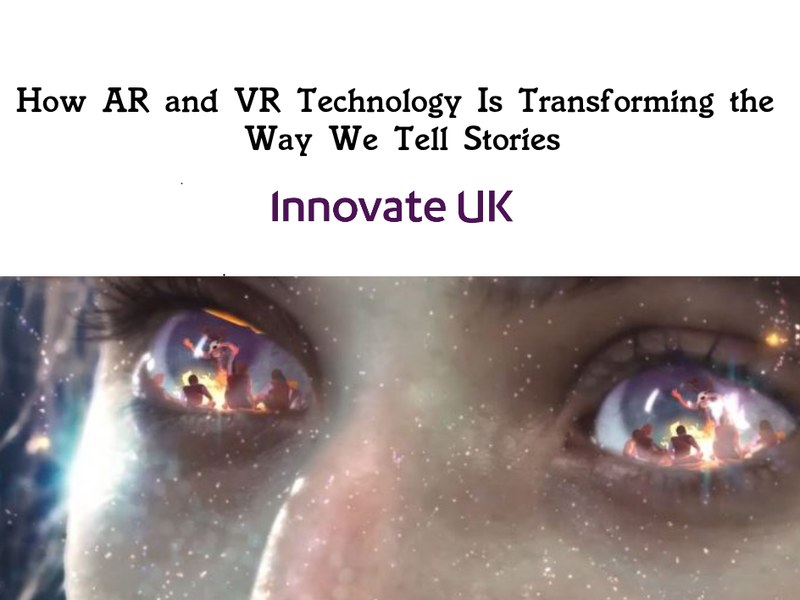 Educating the consumer is a challenge for any business when they release a new product or update their services, augmented and virtual reality are particularly suited to addressing this issue. The use of AR would allow a firm to present information on products in a new and engaging way. For instance, a company that sells cars, computers or any particularly technical products could use AR to allow a customer to scan one of their products and have it overlayed with information on all the different parts that make it up. VR could be used in a similar fashion but would allow the customer to explore a particular product or location, like a hotel room or the inside of a car, so they can make a more informed purchasing decision, this would be incredibly useful in the automotive and travel industries where consumer knowledge of a product is of paramount importance. Both of the previous points feed into this one. Product positioning is all about how the customer perceives your product and all the things it can do in relation to your competition and what they are offering. So it’s easy to see how your business can make use of AR and VR in this situation. If a customer can pick up their phone scan your product and have instant access to all the unique advantages it offers and what your competitors don’t, they are far more likely to purchase your product. If a customer can take your product for a virtual test drive they will be able to experience the unique selling points for themselves. The headaches of trying to figure out how to sell a product are gone when you can literally put it in front of a customers eyes, regardless of who or where they are, and let the product sell itself. This new technology creates an engaging mix of sales and marketing that involves the customer as an active participant. As they walk through your shop, showroom or even sit in their living room your firm will be able to give them access to a quality shopping experience. AR and VR have also opened up a slew of new promotional techniques. Augmented reality could be used to allow a customer to scan an aisle in a supermarket and have all the current promotions and discounts highlighted for them on their AR enabled device. Using this style of AR application in conjunction with a loss leader pricing strategy could be a particularly profitable technique. As the customer would be drawn in with your loss leader, the accompanying AR app would ensure that all of your other promotions are clearly visible and accessible, thereby increasing the potency of this strategy. VR has the ability to let your customer try their product before they commit to buying it which is one of the best ways of promoting and advertising your firm and your services. There is also scope for incorporating more conventional means of advertising into virtual spaces such as product placement or adverts in AR/VR games or applications. These are just a few of the ways that AR and VR can revolutionise your approach to sales strategies. They are only limited by your imagination and as always we are happy to help make any of your ideas come to life so don’t hesitate to get into contact with us.